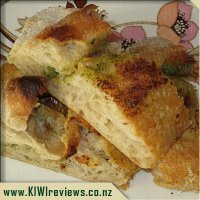 The Kauri Coast Kumara Rosti is a favourite among children and adults alike. This recipe originated from the Swiss who traditionally served the shredded kumara delight with a grated cheese topping. 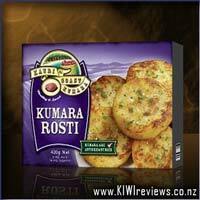 The Kauri Coast Kumara Rosti is famous for its tantalizing onion flavour which makes you want to go back for more. 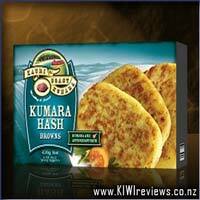 Te Kumara Rosti is great to have on hand for those summer barbecues or served as a base for a vegetarian stack. Oh for the love of Kumara! 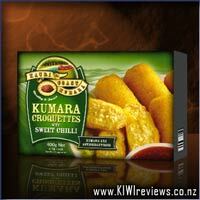 I adore kumara, so when I found these I had to buy them and try them out. So versatile and handy we always have a pack in the freezer now, to add to a number of different meals, be it a cooked breakfast, lunch or dinner. The size of the rosti are about right, although I would t times like them a little thicker. The flavours are real and not fake at all. Such an easy way of adding another vegetable into the diet of even the most fussy eater as they taste so good. So many ideas to serve them, where to start. Looks good served with an egg and a slice or two of bacon for a new take on eggs Benedict for brunch or use a few for the base of a vegetable stack. A great addition to a fry up of bacon and eggs and baked beans or a quick version of fish and chips. Served with lambs fry, bacon and an egg is a real favourite in our house. 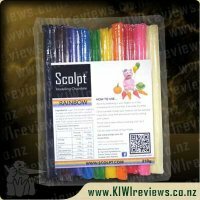 Packaging is good, it stands out in my supermarket and is well priced for the convenience. Cooks well, either in th oven or the frying pan, right along with other food cooking. These are yummy!! I am a huge kumara fan and when I was told about kumara chips that I could buy frozen at the supermarket I hunted them down and found a packet of kumara rosti next to the chips and they were on special so I bought them and I am super glad I did. 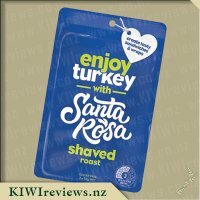 I throw them into the oven and not that long after I was enjoying a yummy little pattie of kumara with a hint of onion in the mix and such a nice crispy outer it was delicious. The smell of the rosti cooking was divine...it couldn&apos;t cook fast enough, and I have no patience when I am cooking something new for the first time. I at the rosti alongside a lamb chop and a mixture of other veggies and I ate the rosti in replacement of mashed potatoes and cooking the rosti etc was much easier and less hassle then the mash potato so the meal was perfect! I also used the rosti in a vegetarian burger...I forget to buy meat for the home made burgers so threw in a rosti instead and this was also a delicious combination. The rosti had a very distinct taste of sweet kumara and sweet onion and these are two of my favourite flavours!! I was originally disappointed with the size of the rosti when I first opened the pack but everything in moderation I guess and 2 rosti are the perfect size when paired in a burger or alongside a protein and other veggies. I have bought more packets of kumara rosti since I first tried them and they will definitely be a r regular on my shopping list and menu menu! These things are great and make a great alternative to hash browns. 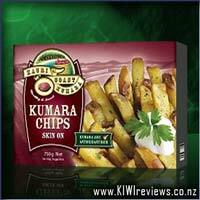 I love kumara and love baked kumara chips and wedges so knew I would probably love these. 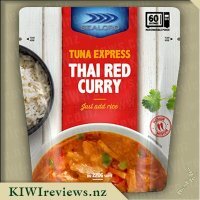 They are good value for money when you get them on a good special to as they can easily feed the whole family as a side with some meat and salad. They are great for having with barbeque meat. We have even enjoyed them as a topping for a beef casserole and they have crisped up really nice on the top like a potato hot pot topping. I give them to my son for lunches too as I like to give him variety in his daily meals and get him eating different foods. 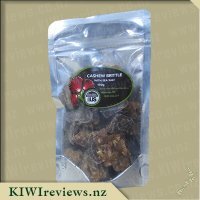 He loves these and I think it is because of their nice sweet yet savoury taste. Sometimes I sprinkle a little cheese on the top in the final few minutes of cooking to give them something extra and he absolutely loves that. They are a good size for a young one for a lunch too as some hash browns can be quite big but these fit in his little hands easily. A pretty convenient thing to cook too as they only take a few minutes on either side to heat up and crisp. 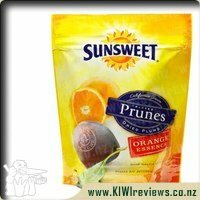 I will continue to buy these and the kumara chips and wedges as they are just to good to resist. 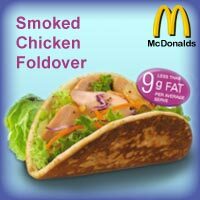 During my year as a vegan I ate alot of them! They were always in my burgers :) It is so hard to find ready made products when you are on a vegan diet, because lets face it, you are not always in the mood (or have time) to make things from scratch. I think these along with the Hash Browns are my two favourite ways of having Kumera now, the added onion flavour just adds to it's appeal and it's way cool yumminess. I have to agree with one of the previous reviewers that these are just the ideal size for both an apertiser or a side dish to a mains course, and they can go with just about anything at all. I have had them by themselves and they were fantastic, but my favourite by far is having them with my delicious Oven Fried Lemon Chicken! Rosti aren't normally my favourite way to have a root vege, but these are light and creamy, and well and truly worth it! The Rosti's had a coating on them which kept the kumara moist but still stayed crunchy, making the whole meal tastier. 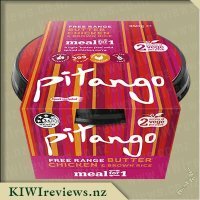 The use of onion in the mixture was good because it changed the flavour enough, so that if you're not keen on kumara the flavour wasn't overwhelming. I had mine as a side dish but they would make a good party snack if you cut them up and served them with a selection of light sauces. I have looked for these in a few supermarkets and given the advertised price I might be more inclined, personally, to wait until they are on a 'Managers special.' These are great served as either a side dish or a base for a vegetarian meal. 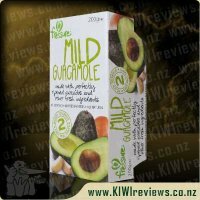 In all, a good stand alone snack or addition to your evening meal. After lightly frying them to a crispy finish, I arranged them on a plate, topped them with some Tuna Munchie Mix on top, with a slice of tomato as topping and a touch of pepper and salt for flavour... once cooled slightly, these turned out to make a great fingerfood snack to pass around as an appertiser leading up to dinner. 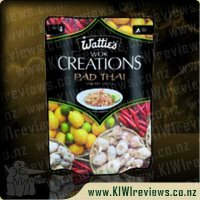 Overall, though I could see these making up part of a tasty main course, I personally would stick to using them as a side-dish, or as a starter. Get creative, that's what they are all about.